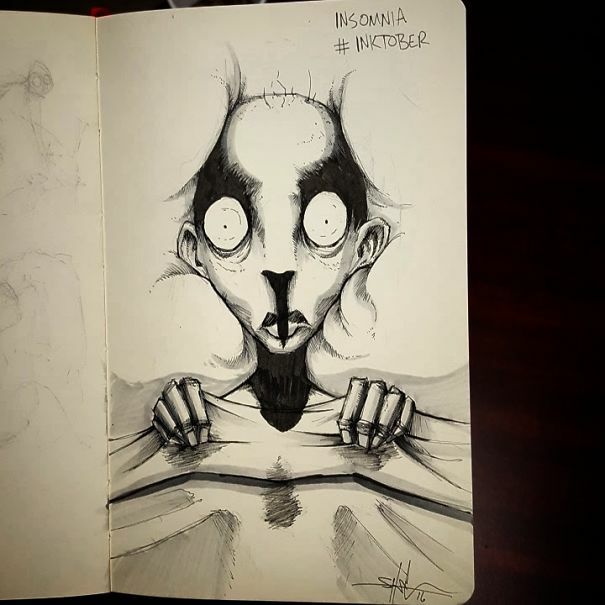 Ever heard of a holiday called ‘Inktober’? 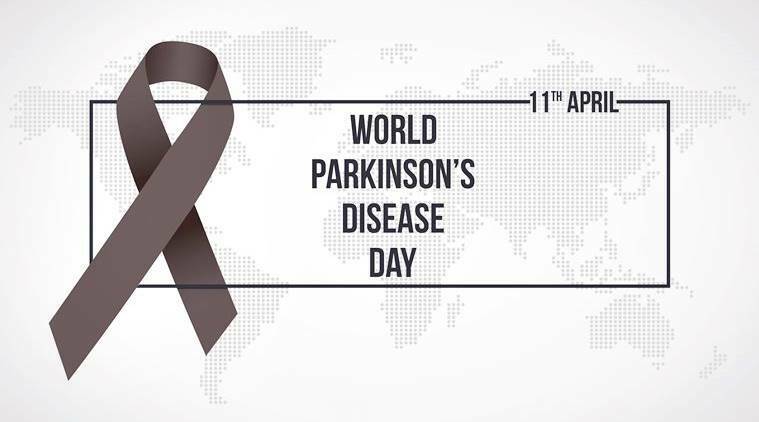 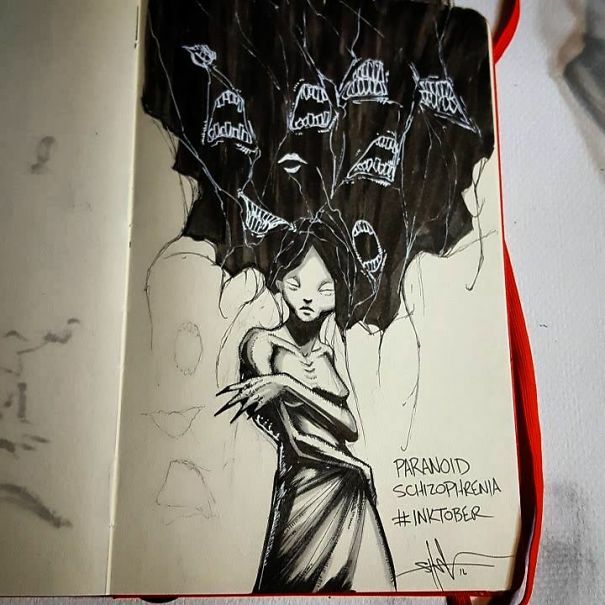 It was created by Jake Parker, an artist who wanted to hone his drawing skills and artistic habits by challenging himself to pen one ink drawing every day in the month of October. 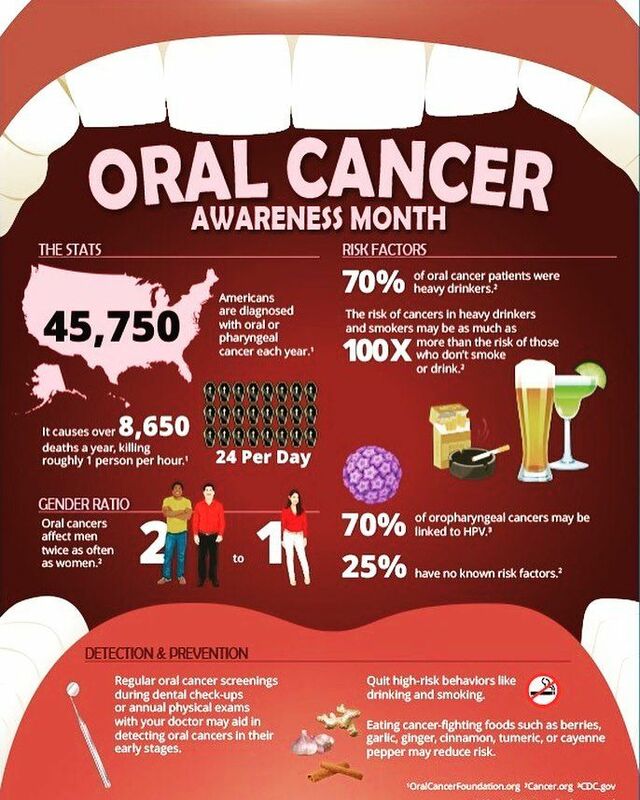 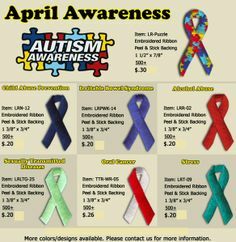 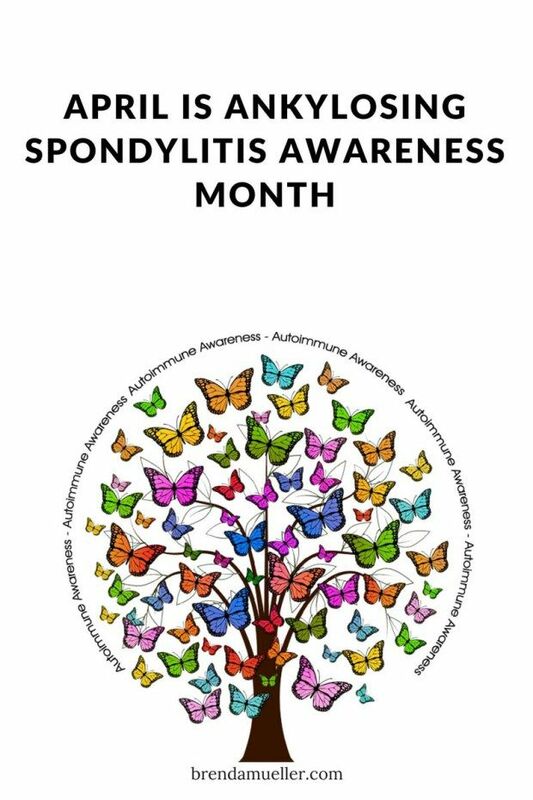 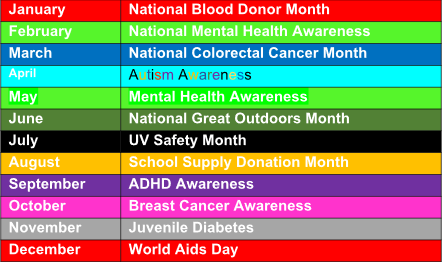 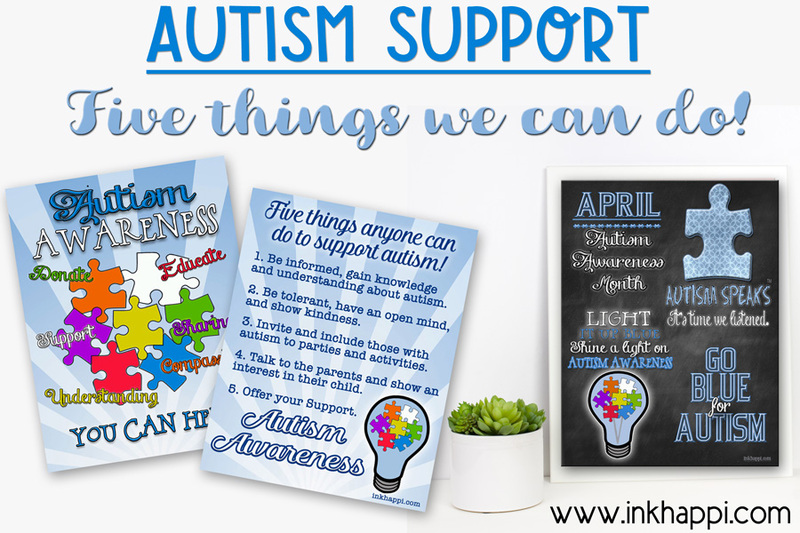 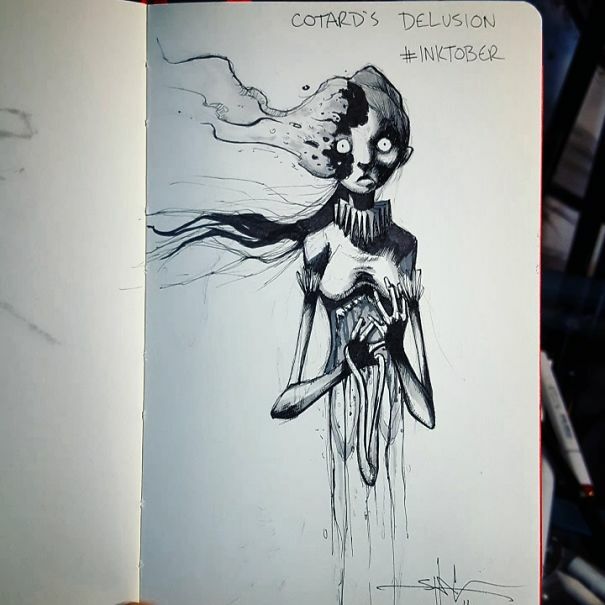 The idea was quite popular in the art community, inspiring many others to take on the same challenge for October. 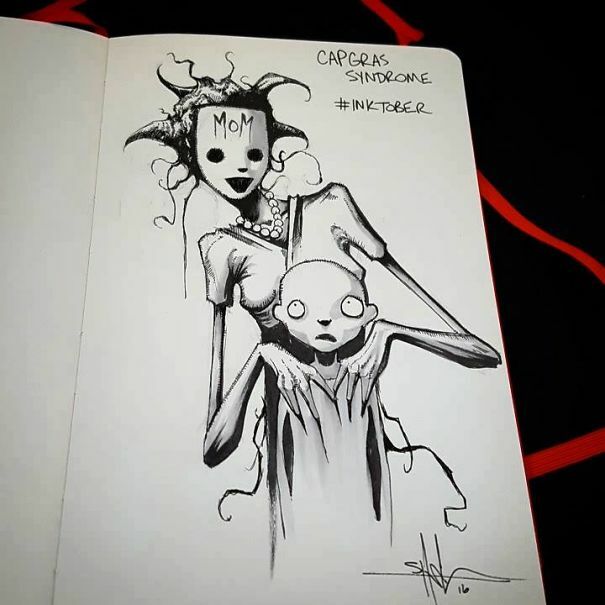 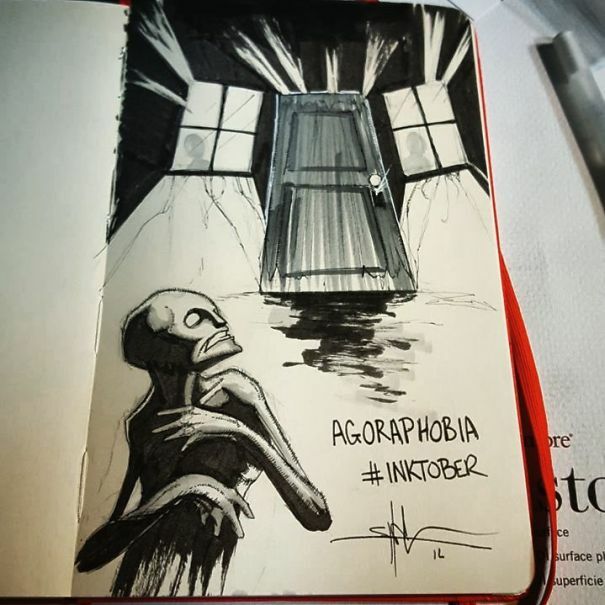 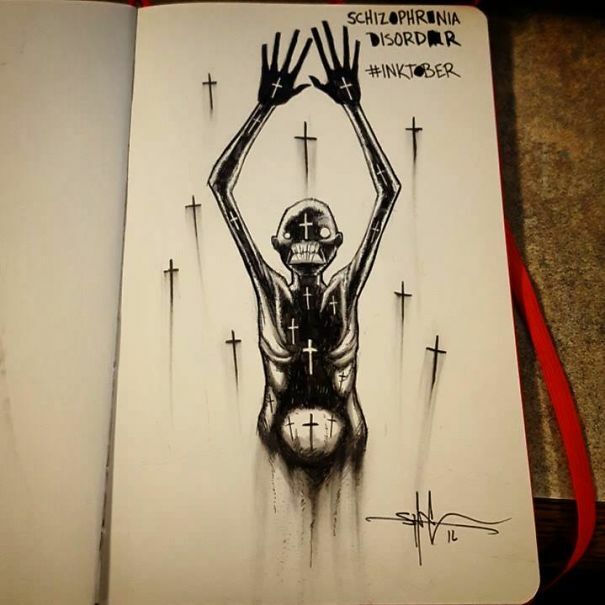 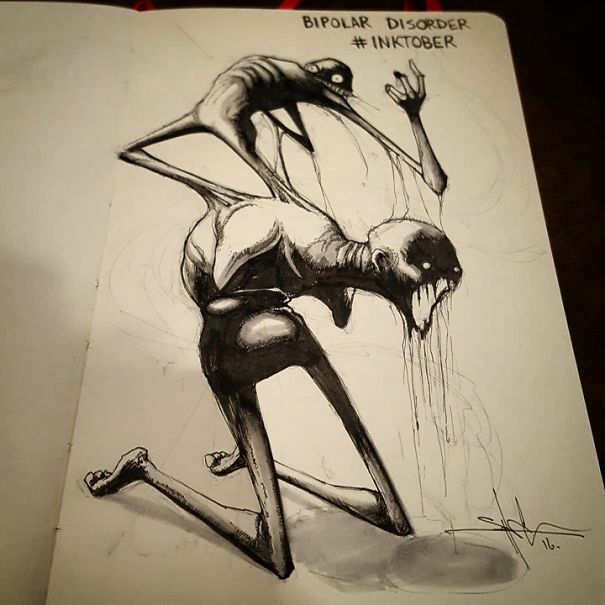 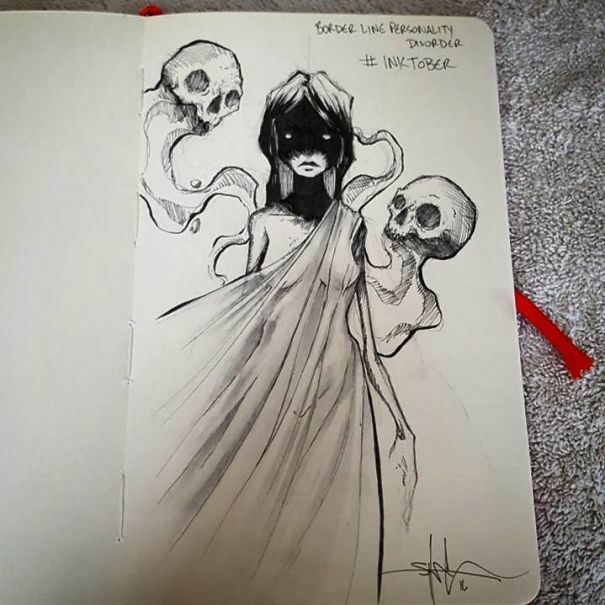 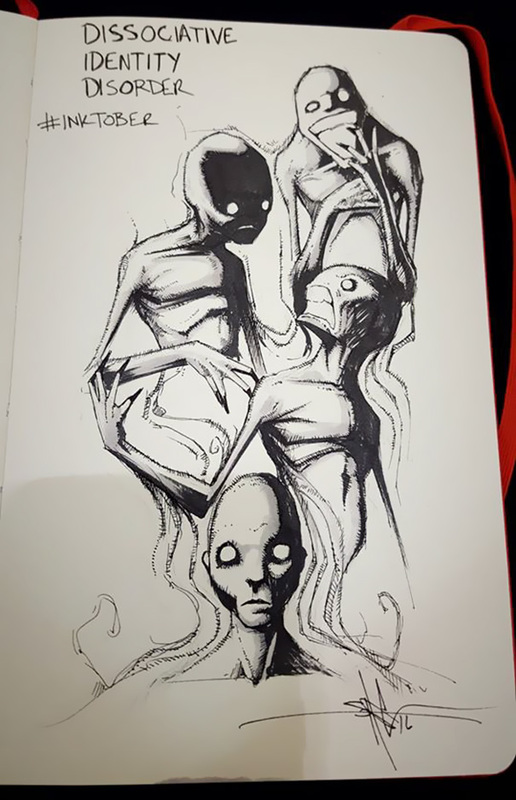 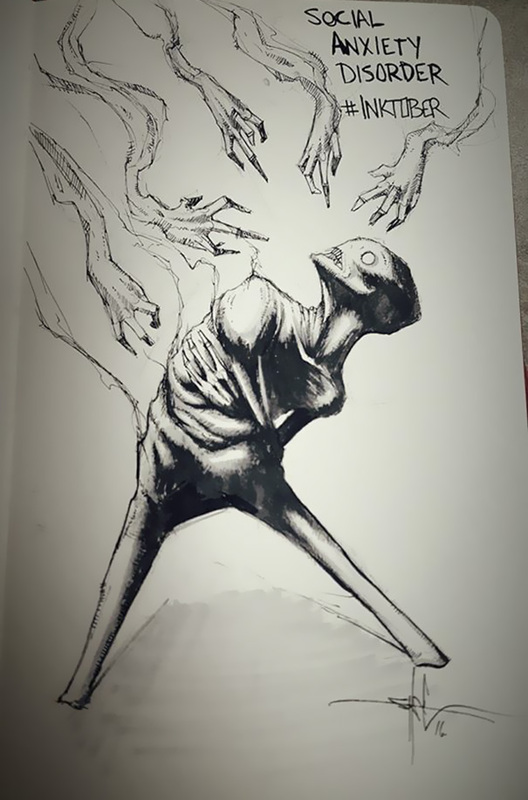 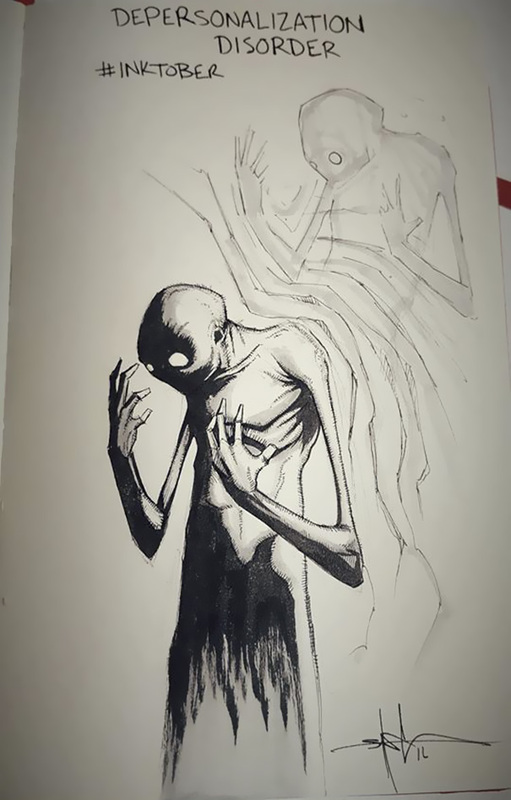 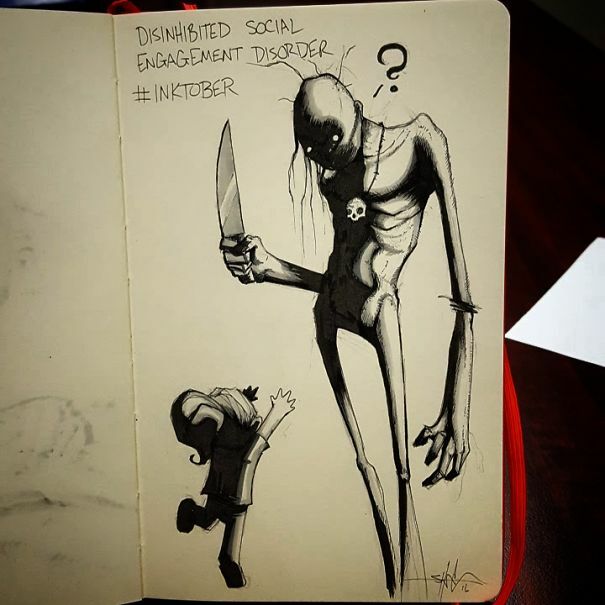 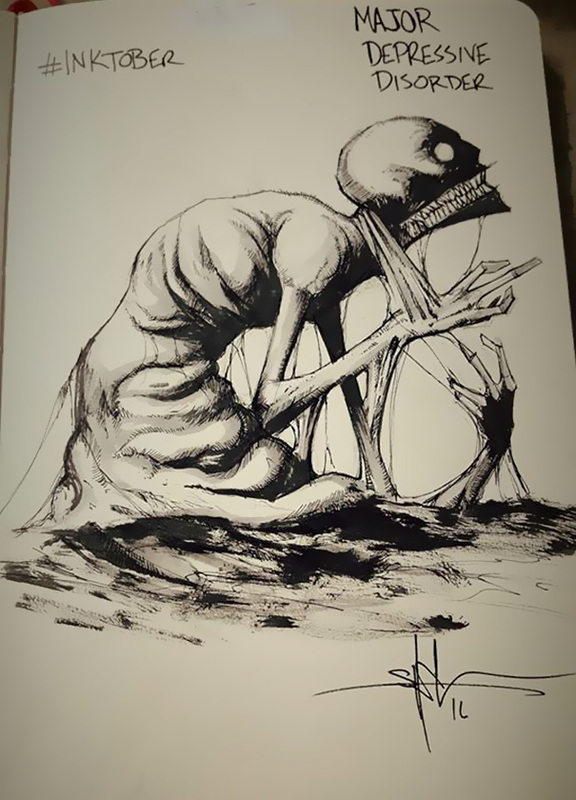 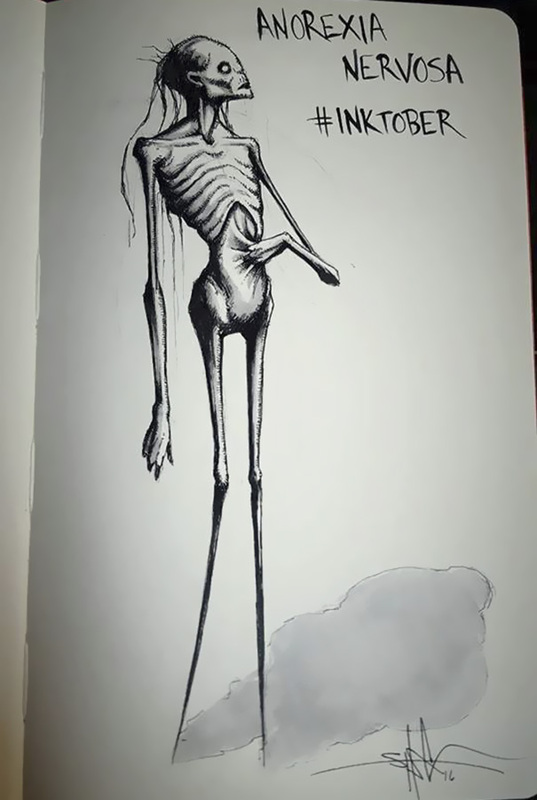 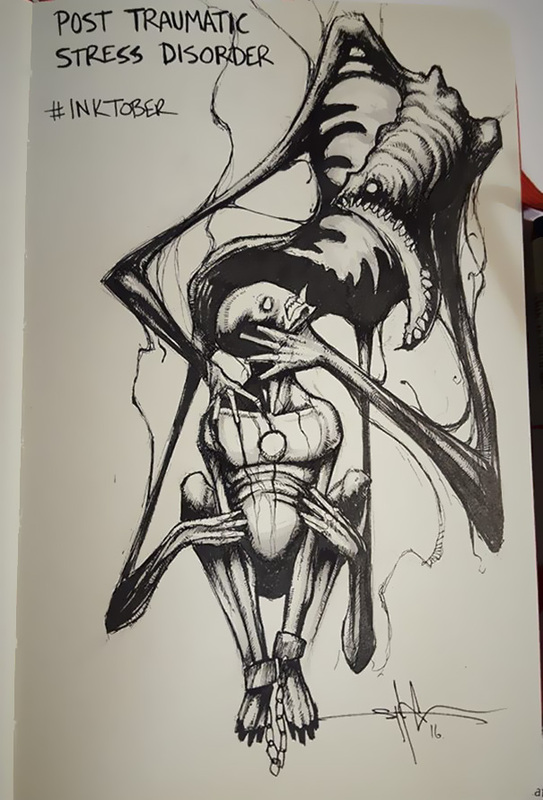 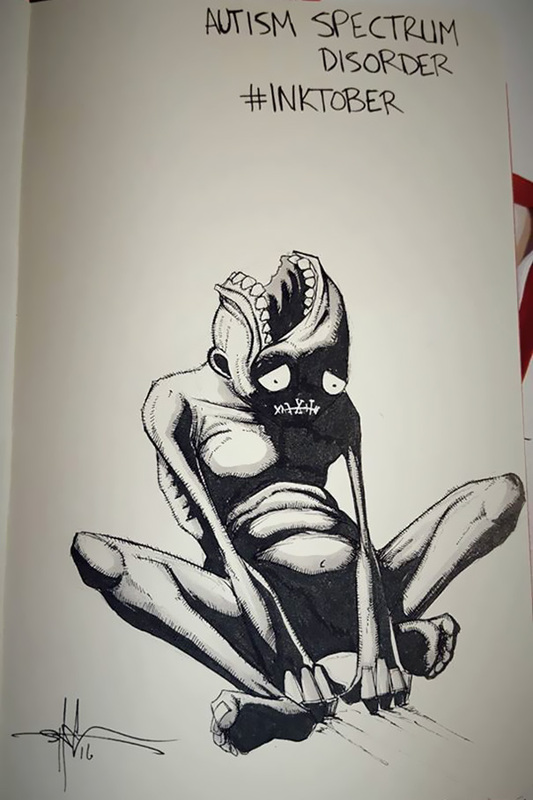 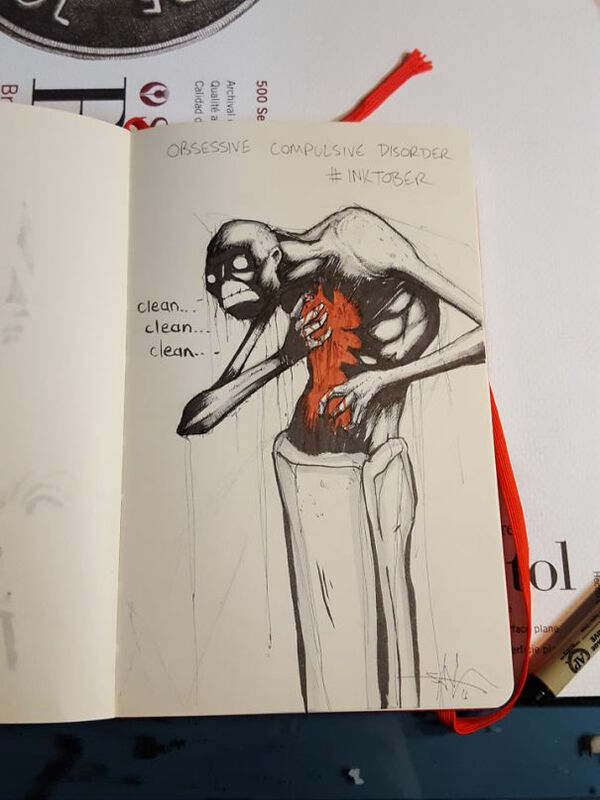 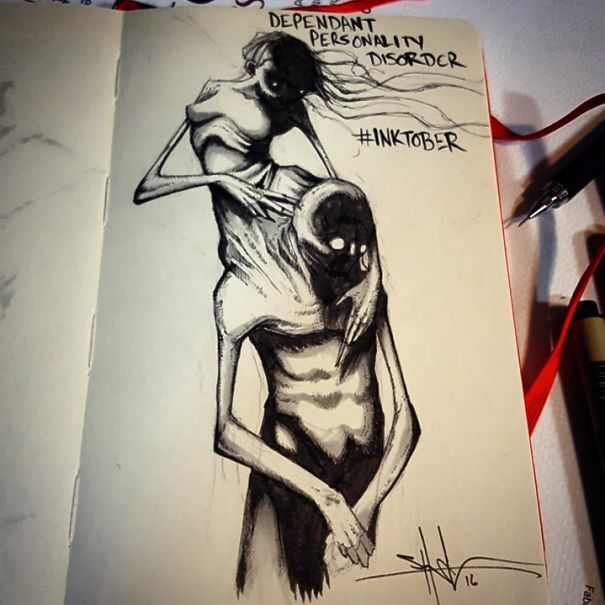 Although Inktober typically comes with a list of drawing prompts to help you come up with something for every day of the month, Shawn Coss is one artist who decided to tackle an entirely different set of prompts: mental illnesses, conditions and disorders.